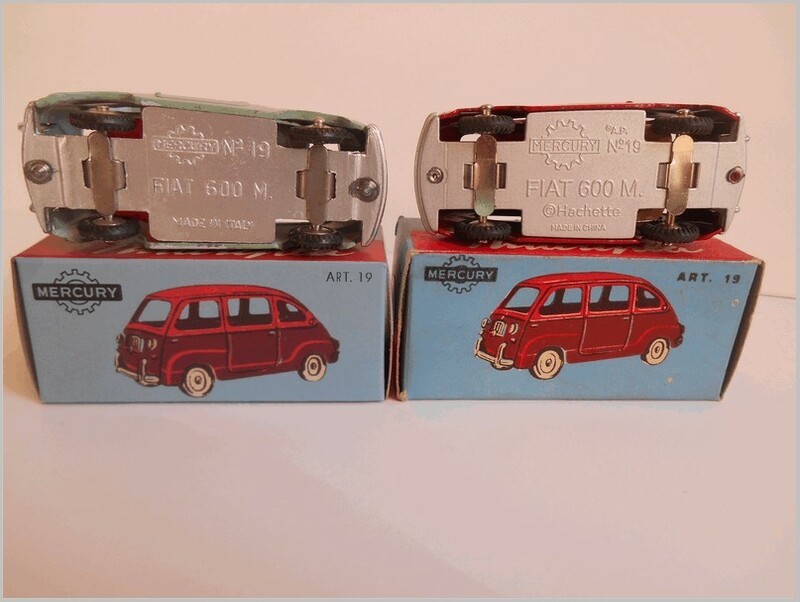 2019 brings with it two new partworks running in Italy. 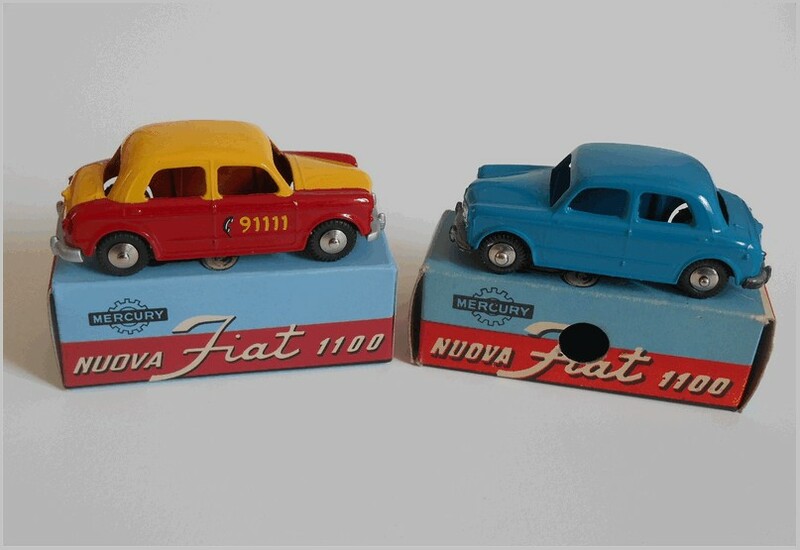 One is based upon vans already seen in the Vadis Eaglemoss Liveried Vans series with new liveries, whilst the other will produce replicas of the models produced by the famous Italian brand Mercury. 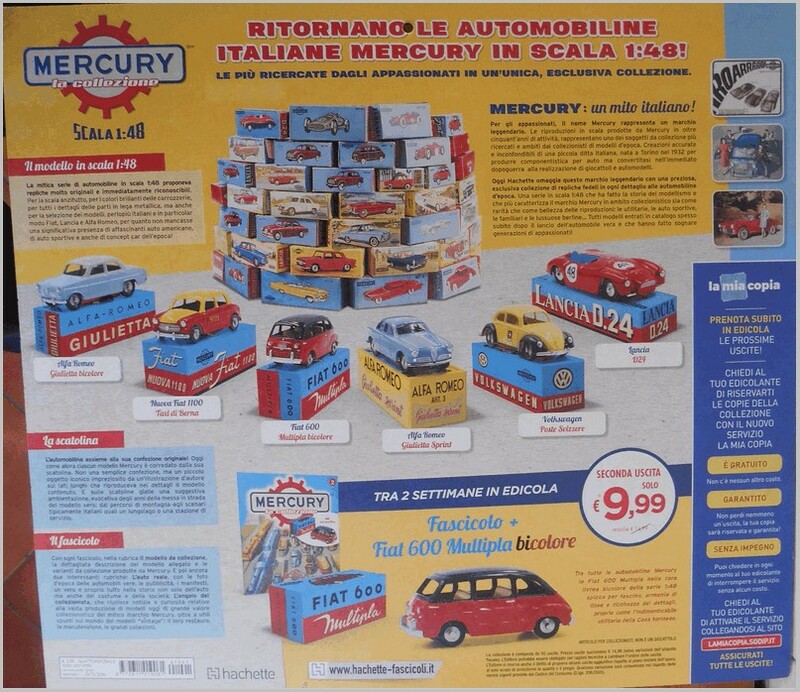 The first part comes attached to a very large card to make a splash at the news stands and to highlight the cheap first part. 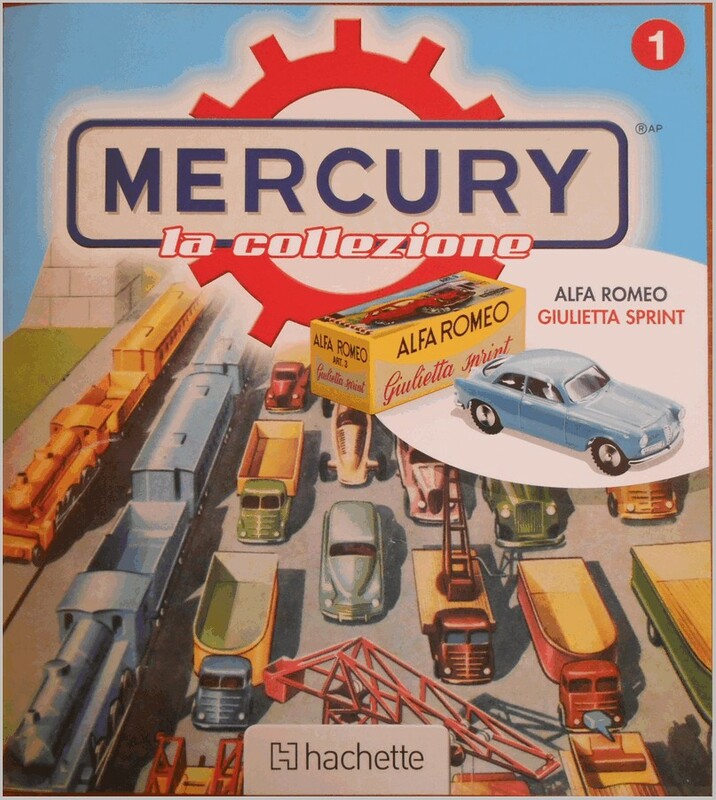 and to encourage people to collect the series. 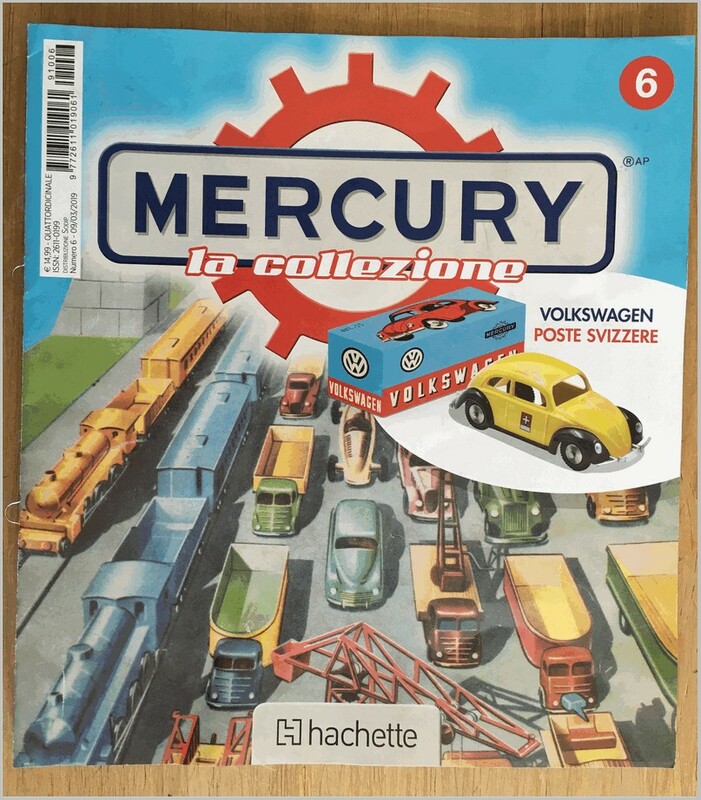 Front of card with attached model and magazine. 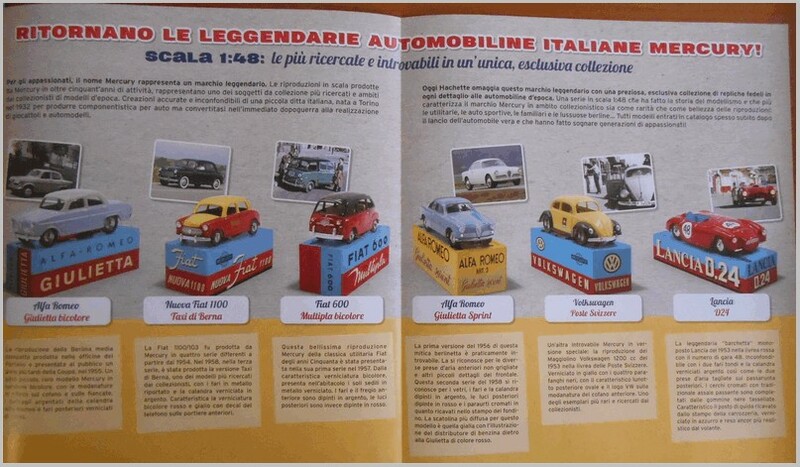 Rear of the card with details of some of the models to come. 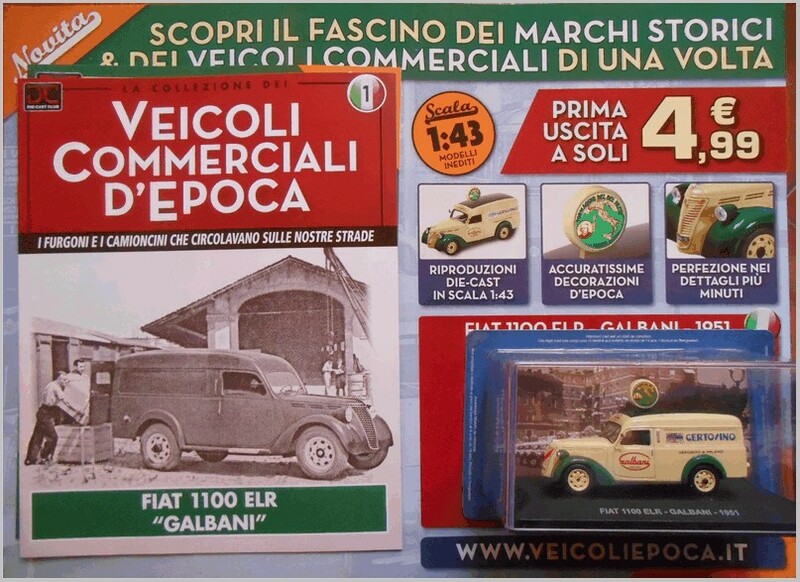 All the models shown appeared in the earlier Veicoli Pubblicitari D’Epoca [Vintage Advertising Vehicle] published by Vadis Eaglemoss. 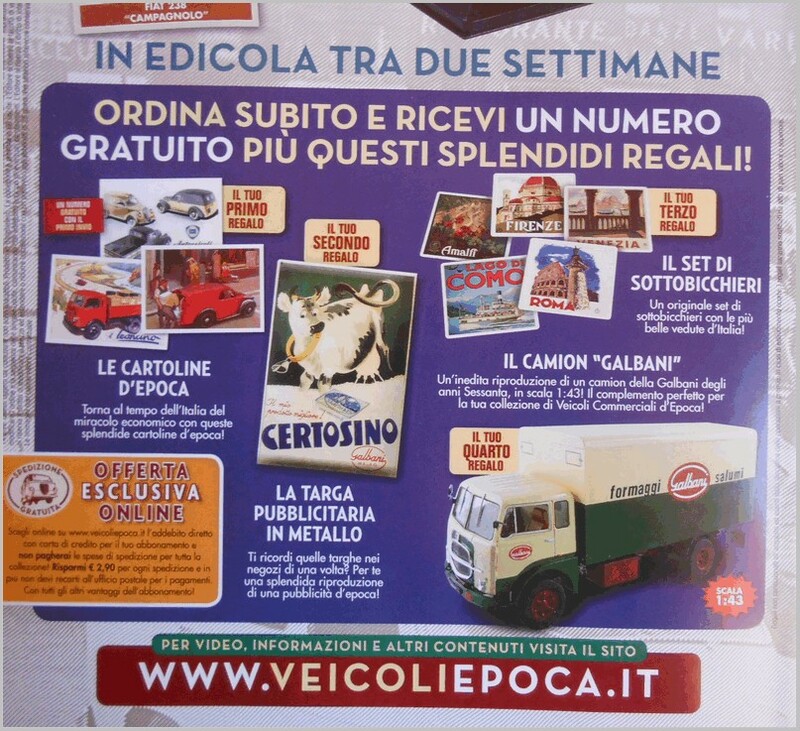 The new publication is produced by Eaglemoss as the website www.veicoliepoca.it shows. 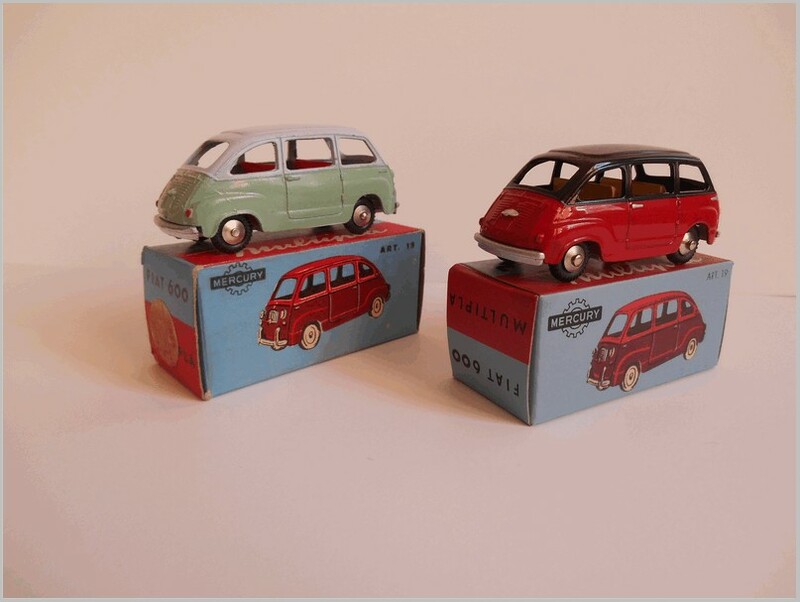 As in the previous series virtually all of the models shown to come are from Italian makers apart from the VW Transporter. 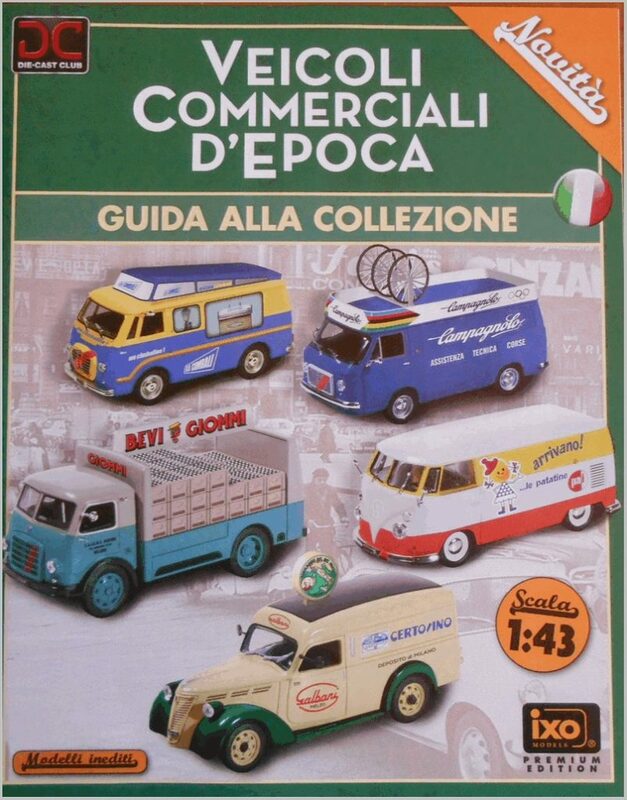 The cover of the first magazine shows that the models have all been made by Ixo which is unusual, but it shows how the Ixo brand has established itself in the European market place as a producer of good value models. 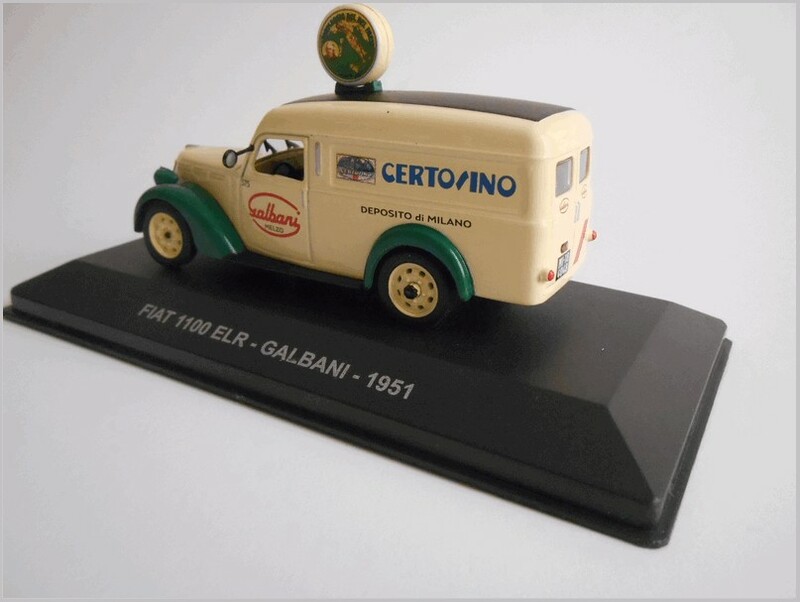 The Galbani liveried Fiat 100 van which is sold as the discounted first model is shown above. 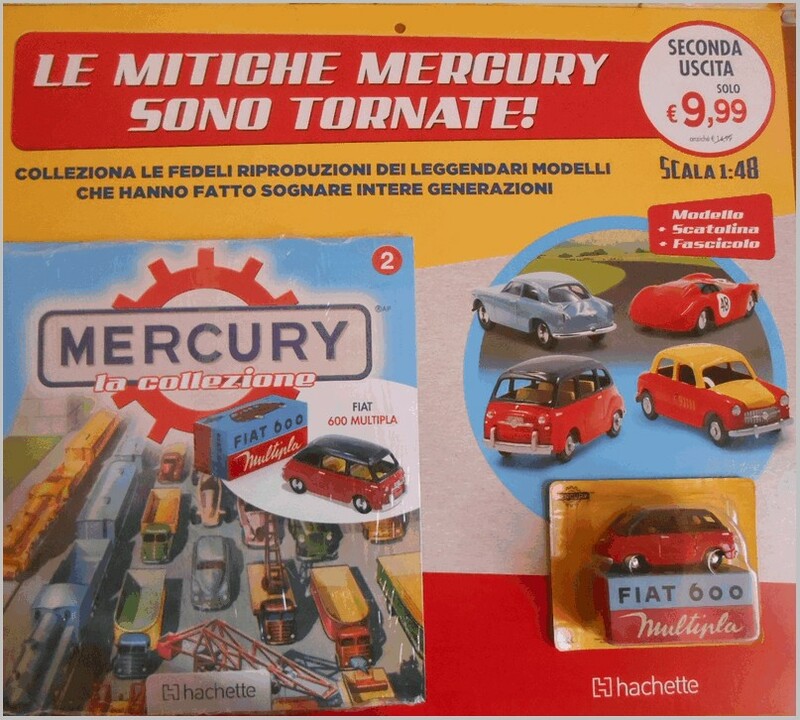 A series featuring new replica castings of Mercury Models. 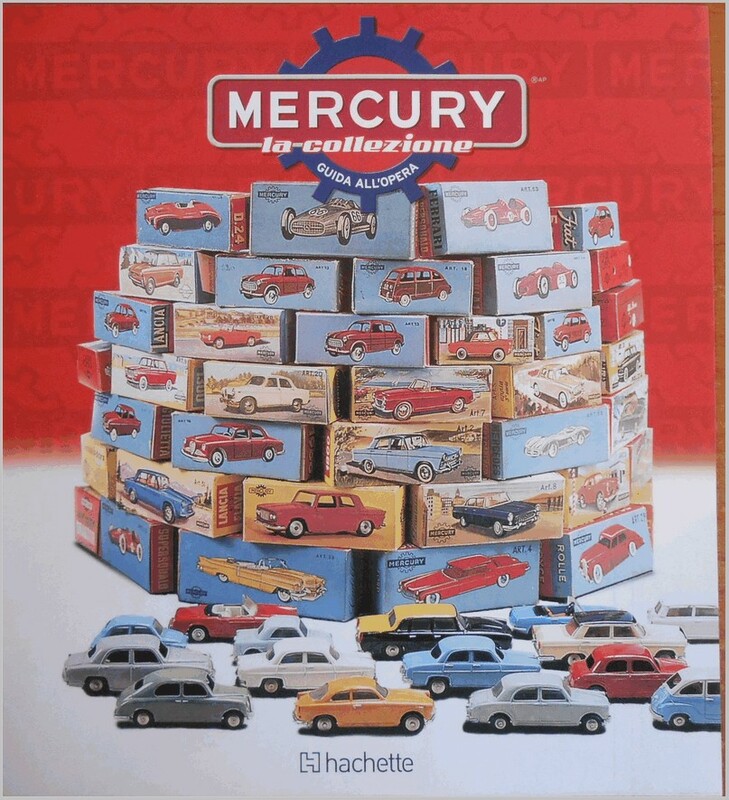 Mercury were a famous Italian diecast model maker. 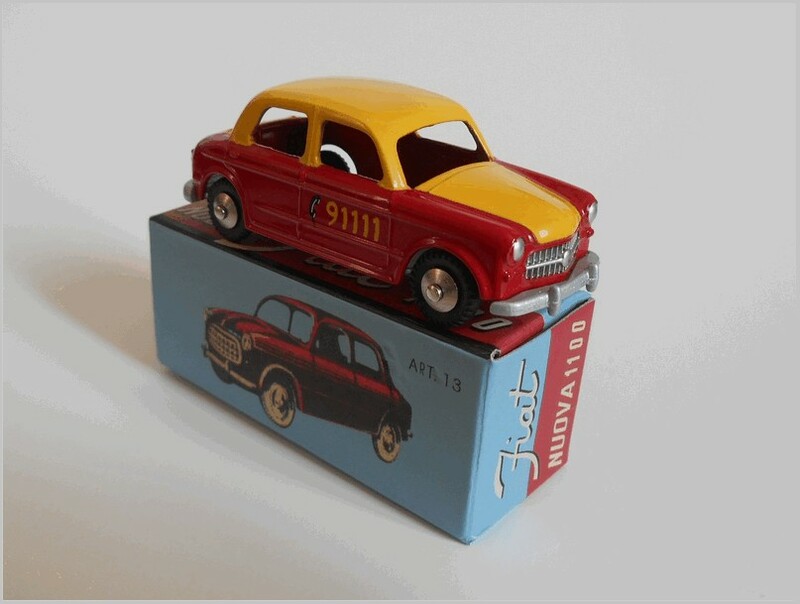 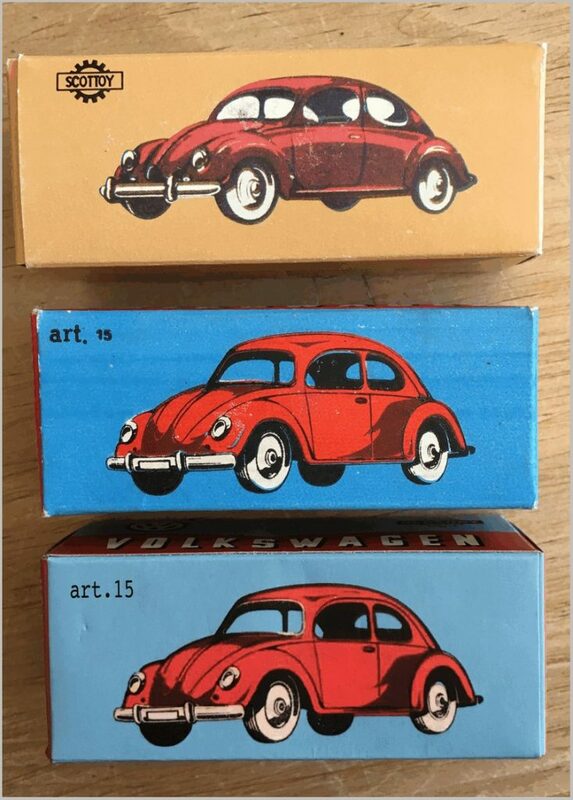 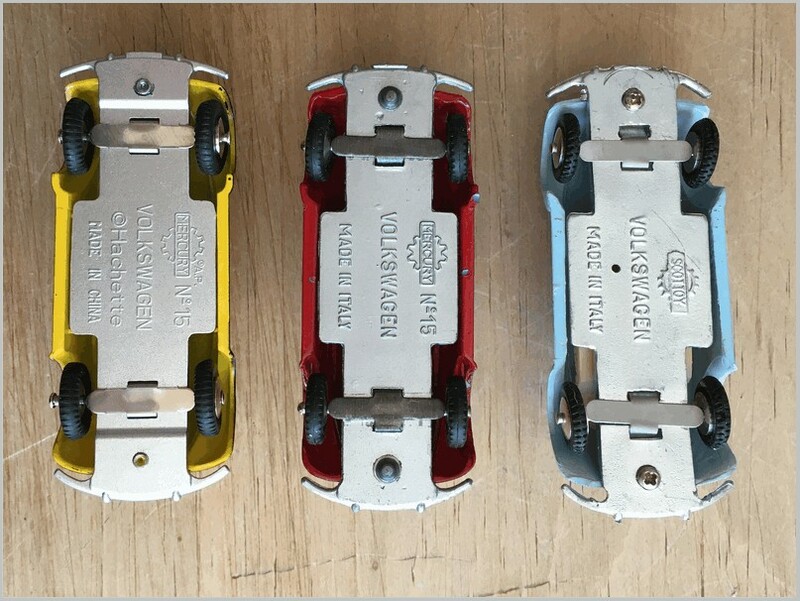 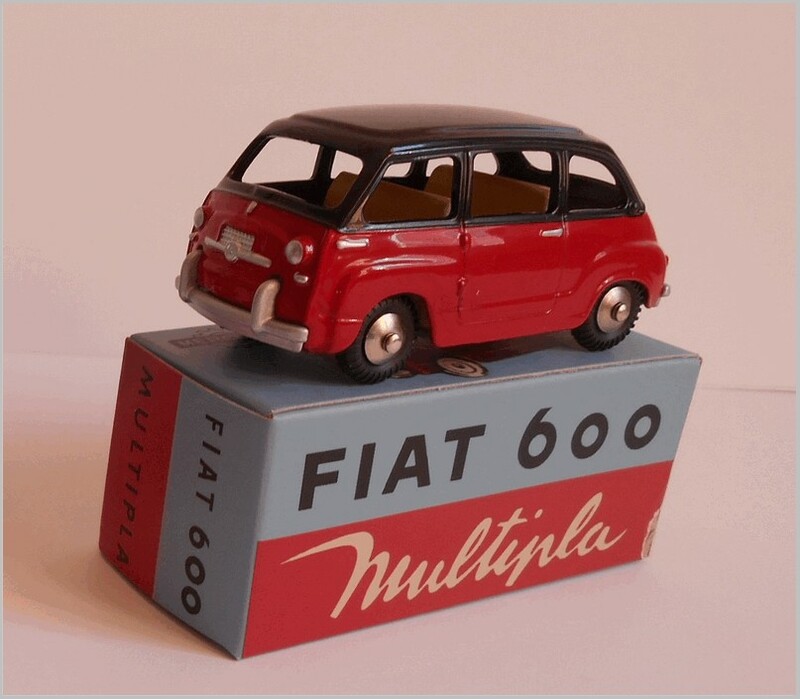 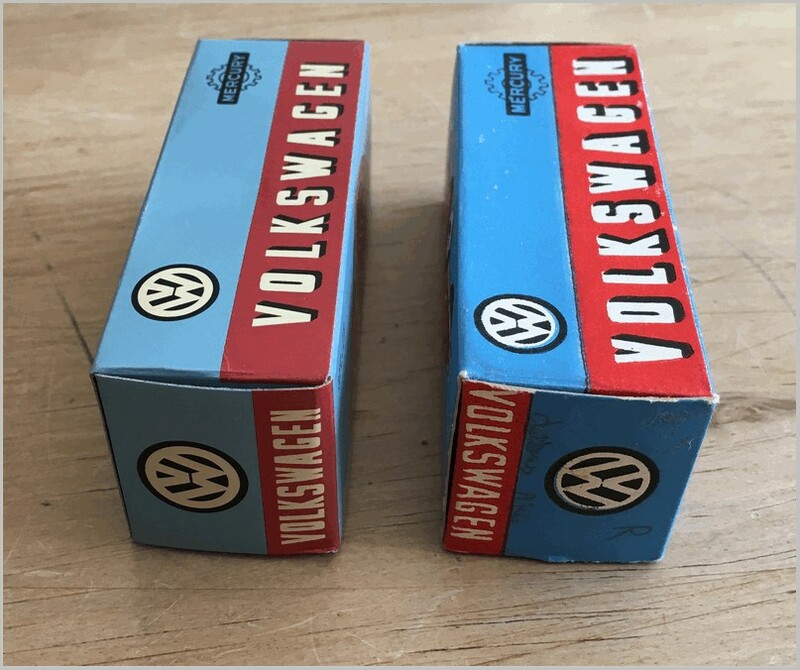 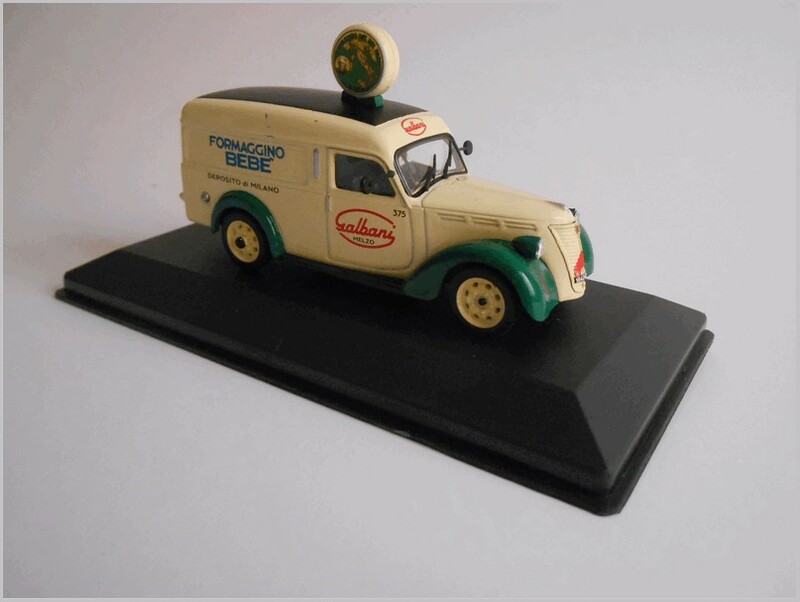 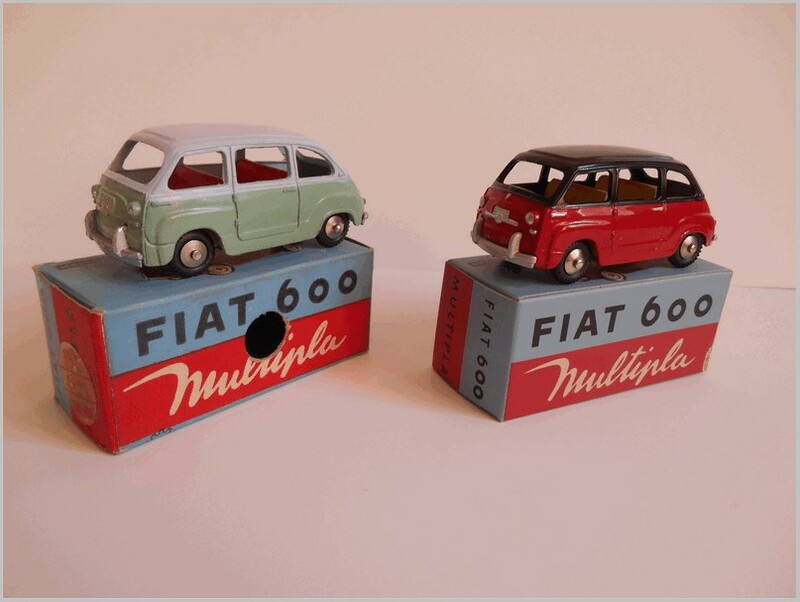 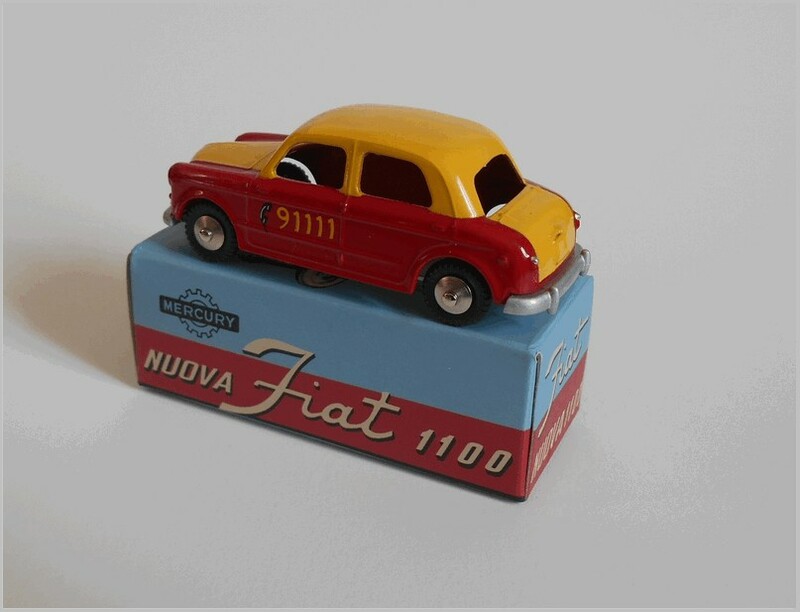 Like so many others they grew before World War Two making industrial diecastings and turned to toys after the war becoming the first Italian maker of diecast cars. 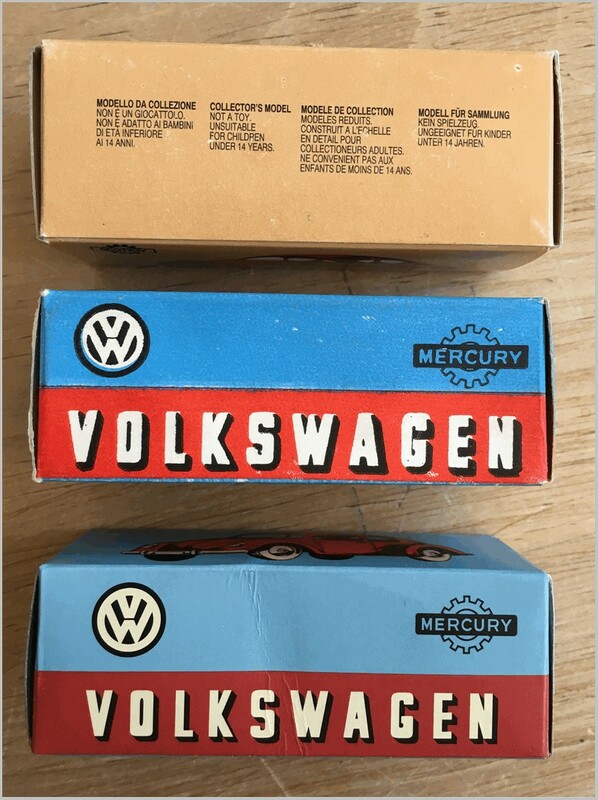 Models were produced in various scales but the company ran out of steam in the late 1970s closing in 1978. 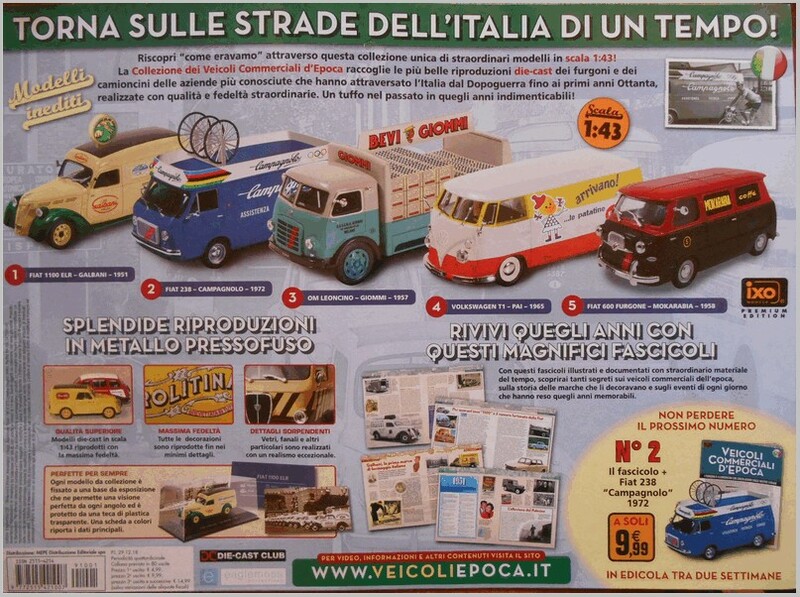 Leaflet showing models to come. 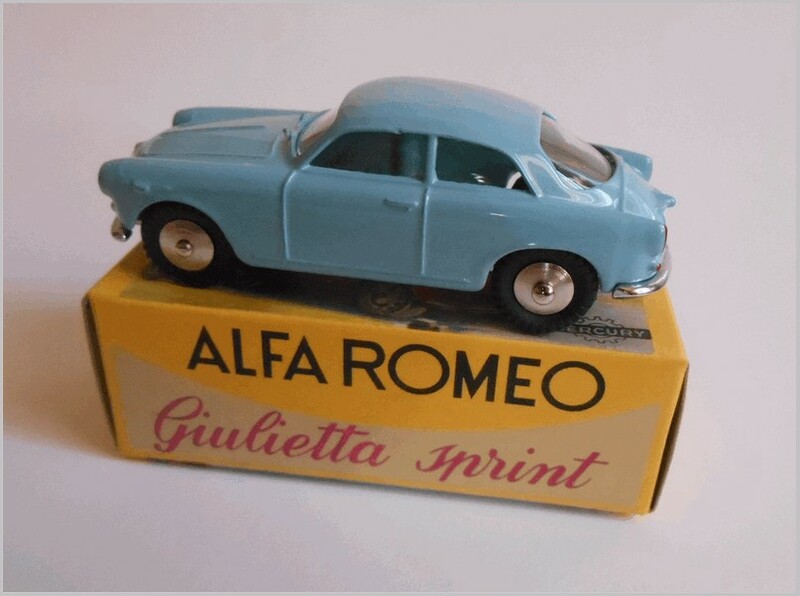 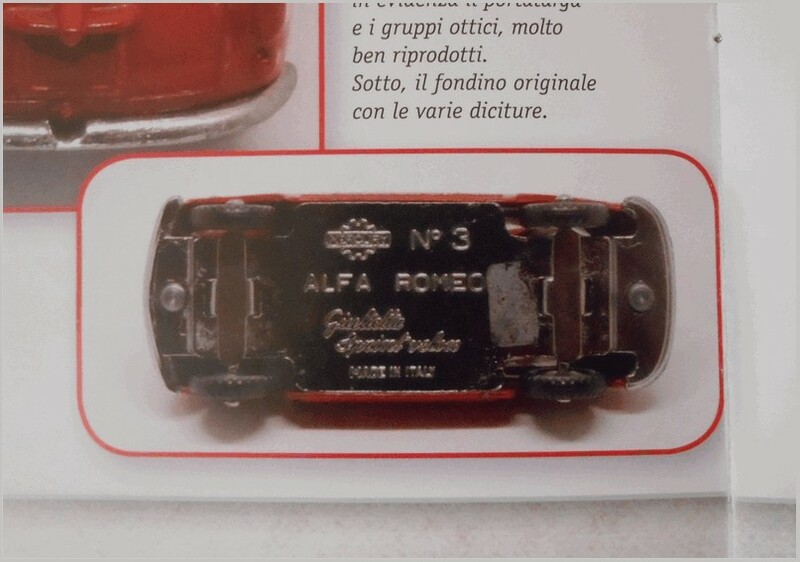 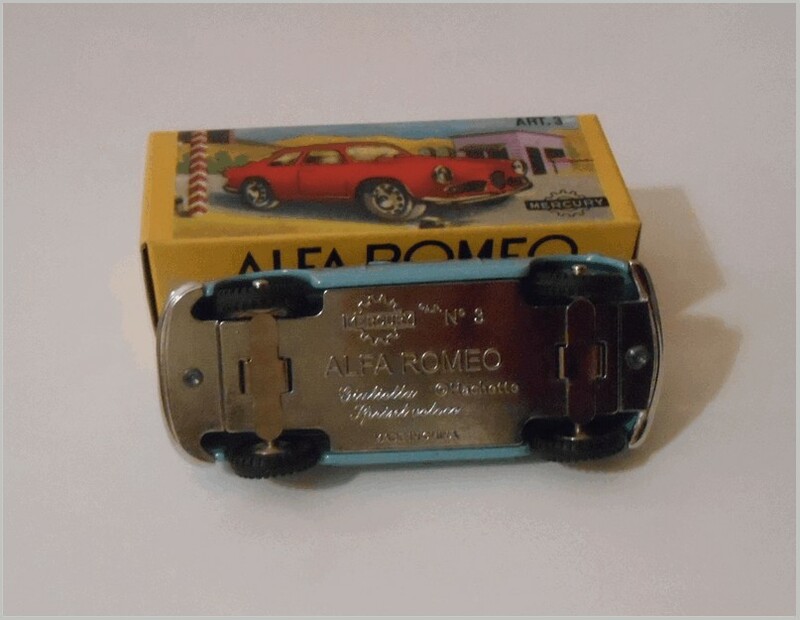 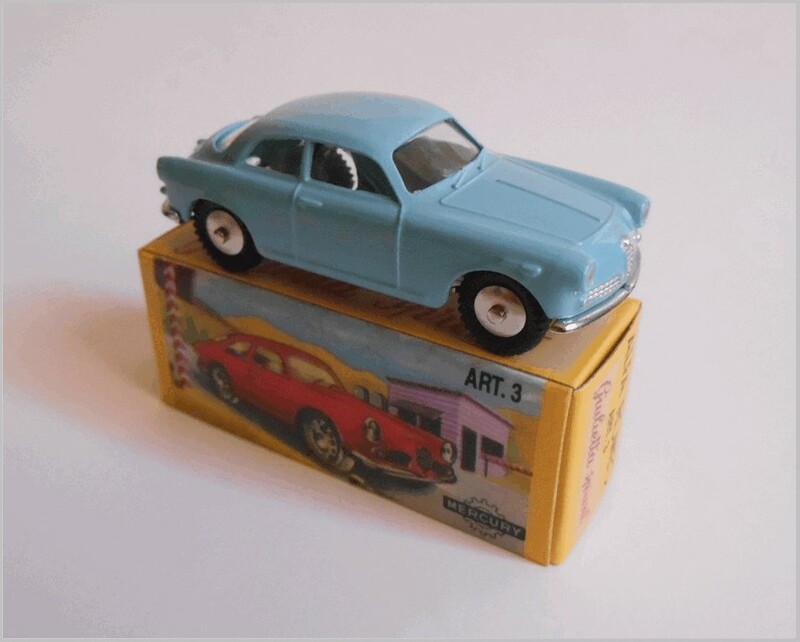 The first model included in this series is an Alfa Romeo Giulietta Sprint in a lovely replica box as shown below. 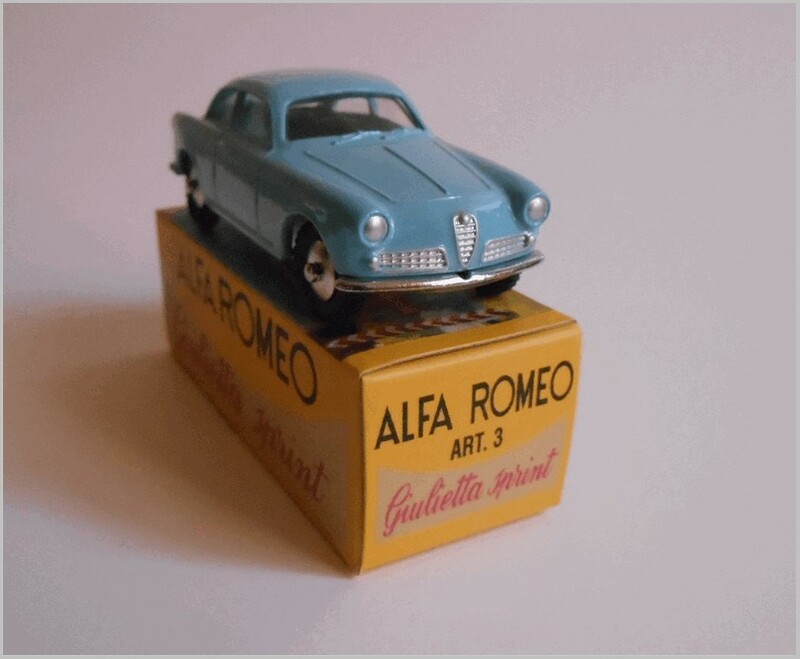 This model, a 1950s classic, is nicely replicated in the manner of the Atlas Dinky range. 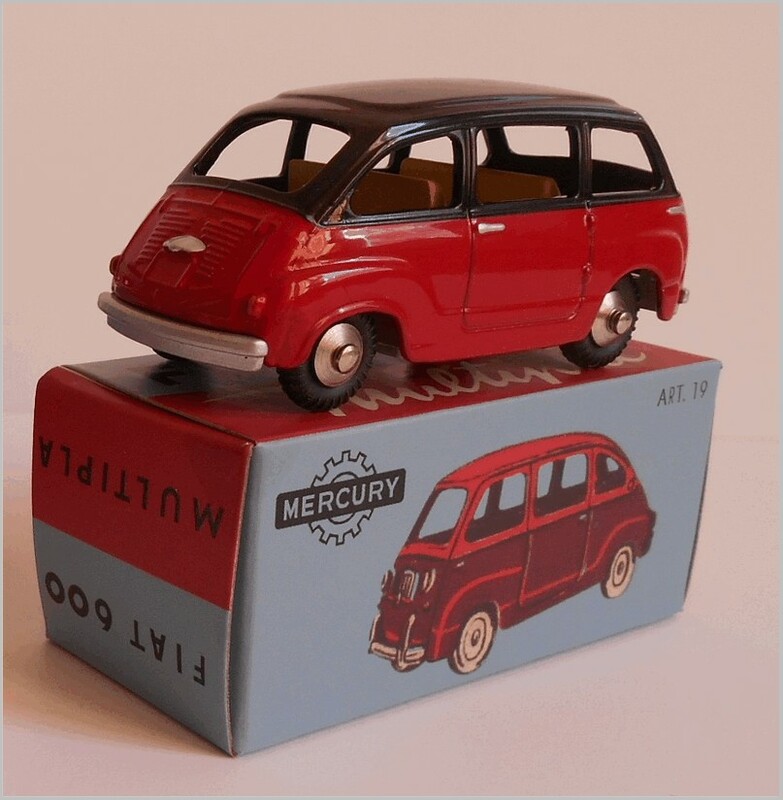 It is produced to the 1:48 scale used by Mercury initially. 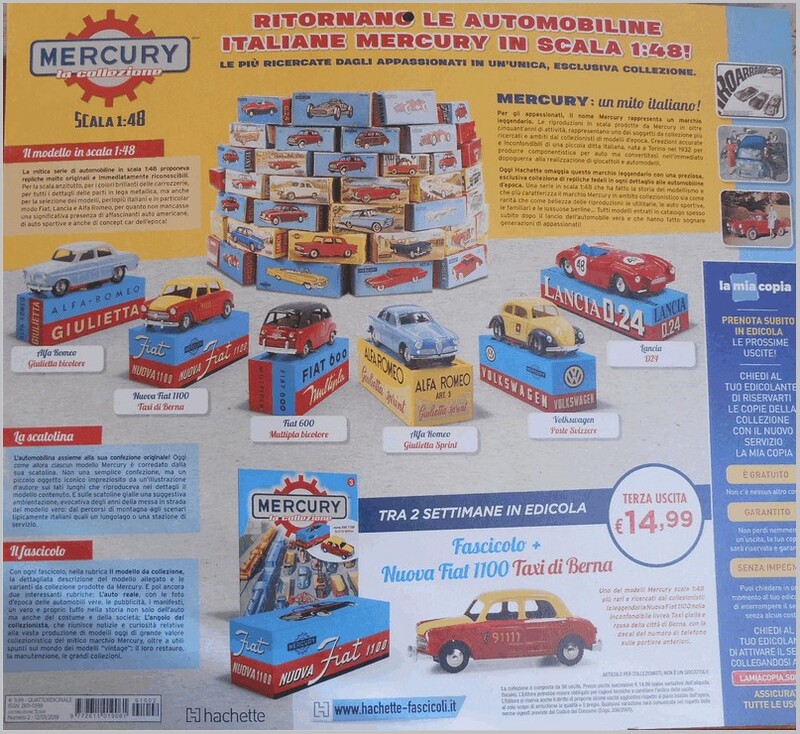 The magazine accompanying the model includes some nice printed reproductions of original Mercury advertising. The rear cover is another enticing view of what is to come.